The NASA Jet Propulsion Laboratory (JPL) and Arizona State University (ASU) have partnered to create the Mars Space Flight Facility on the Arizona State University campus. The Mars Education Program located at the prestigious Mars Space Flight Facility at ASU has been developed under the dynamic partnership between JPL and ASU to explore the ever surprising and exciting red planet. 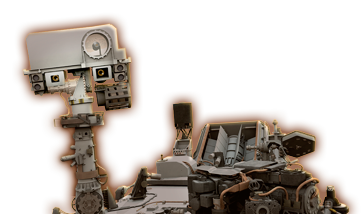 The Mars Education Program at ASU is the formal education partner of the JPL Mars Exploration Program. The Mars Education Program provides workshops, field trips, and other opportunities for teachers and students to join with scientists and assist the research process through contributing efforts within the excitement of Mars exploration. 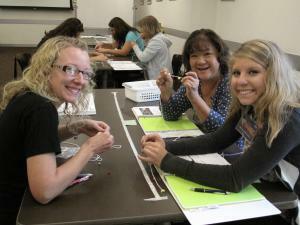 In addition, the program offers professional-development conferences to train teachers how they can use space exploration to ignite their students' imaginations, while at the same time integrating STEM (science, technology, engineering, and math) inquiry-based and standards aligned learning into K-12 curriculum. The primary focus of the Mars Education Program is to administer formal and informal education and outreach activities for educators, students and the public to engage in Mars science and NASA mission content in a deep educational way that aligns to current curriculum standards across the United States including the Next Generation Science Standards (NGSS). The Mars Education Program at ASU plays a critical role in developing the next generation of 21st century explorers, scientists and engineers by extending the reach of NASA mission content into the classroom to make true and positive impact on the STEM pipeline. Mars is an exciting place with a fascinating geological story. On a daily basis the NASA Mars exploration science teams are seeking to find new answers to many essential questions as we discover new aspects of Mars embedded in its geological history. For example, why is it that we find significant evidence of water flows on Mars for example but we also know that Mars is too cold to sustain water flows. Any water on the surface would just evaporate, right? These questions and more drive our scientists to make new discoveries, to learn about Mars’ history but also help us to answer essential questions about Earth’s history as well. The Mars Education program works with these science teams to bring the most accurate, up to date information to your classroom to support and excite our next generation of explorers. Mars Education classroom lessons meet National Science Education Standards, Next Generation Science Standards (NGSS) and promote 21st century skills learning utilizing current and past collected NASA scientific data. Through the Mars Education projects and activities, schools and individual learners have the opportunity to engage in science activities like never before. And with 20 years experience delivering lessons and activities to classrooms around the United States, we hope to truly inspire the next generation of space explorers. We invite you to join us in our quest as we research our solar system and inspire the next generation of explorers through hands-on NASA science engagement activities. Welcome to the Mars Education Program!